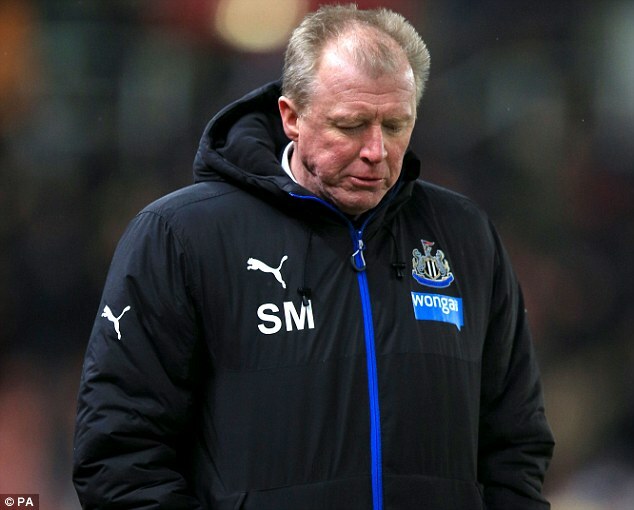 Written by Rhys Melhuish (@RhysMelhuish22) It isn’t the first time any of you will have read these words, and it’s certainly not going to be the last, but Steve McClaren’s time at Newcastle United has to come to an end. However, the overlying worry remains that I, nor the vast majority of Newcastle supporters, have any faith in the club to make the decision and do something, dare I say, productive? There is a lot of anger swarming around Tyneside as far as football is concerned, and understandably so. But to be honest, I feel considerably less angry with McClaren than I do with others. The criticism of Lee Charnley continues to come thick and fast as our so-called Managing Director appears utterly incapable of approving or implementing even the slightest progressive idea. The club’s board has had its head buried in the sand all season, they appear to be the only people on the planet that think relegation for Newcastle United is unlikely. Well they need to snap out of it, and fast, because we are in huge trouble. The side that totally outclassed us (for the second time this season, may I add) are supposedly one of our relegation rivals, a side of our perceived level of ability. But in every way, shape and form, Bournemouth outplayed and outfought Newcastle, and we couldn’t rely on a heroic Rob Elliot performance this time. McClaren has lost support of the fans, and if the last performance is anything to go by, he’s lost the dressing room as well. To his credit, as I mentioned earlier, I feel no anger with Steve. As much as many Newcastle fans sat back and were prepared to give him a chance and look ahead with cautious optimism, we all knew, deep down, that a man sacked by a Championship club last season should never really have been given the job in the first place. He simply isn’t good enough, that’s no fault of his own. What angers me more than anything else, is that once again Newcastle look set to ignore what is clearly a very big problem. We all remember the sacking of Chris Hughton back in 2010. It was a highly questionable and unjustified decision back then, and looks downright farcical now. Chris Hughton took over the reigns at Newcastle when no other respectable manager would have even thought to consider it. After relegation, Hughton’s side stormed the Championship, winning 102 points in the process, and were comfortable in the Premier League the year after. Hughton watched his Newcastle side hit a then-impressive Aston Villa side for six, humiliate Sunderland in the Tyne-Wear derby, and take all three points from Arsenal at the Emirates. Either of the latter two results would earn a Newcastle manager/head coach a new eight-year contract nowadays. His dismissal was the finest hour of a football club’s board riddled with contradictions and inconsistencies. They told us that “a manager with more experience was needed to take the club forward.” How did that work out exactly? How on Earth can anyone at the club possibly justify sacking Hughton after his record, when his successors have massively underwhelmed despite being allowed much more investment into the squad? Yes, Pardew’s first full season was an overwhelming success. 2012/13 was a highly disappointing one, but it was fair to give him another season. Then we had the horrendous capitulation in the second half of the 2013/14 season, which saw our manager headbutt an opposition player in the process. But the club’s board felt that was acceptable. In the two season that followed, Newcastle have spent north of £100m on new players, and now find themselves 19th in the table in March 2016. But Alan Pardew and Steve McClaren were/are backed to the hills. Chris Hughton, in his first taste of Premier League management, spent roughly £10m on the likes of James Perch, Cheick Tiote and Hatem Ben Arfa, and had his side sitting in 11th place, with 19 points after 16 games. He was then sacked. Could someone please explain to me how any of this makes sense? Hughton brought calmness, dignity and respect back to the Magpies’ dugout. He and his side were all that the Newcastle fans wanted. An honest, hard-working set up that gave its all for the badge on the front of the shirt, instead of the name on the back. But then again, us Newcastle supporters all demand Champions League football each year, don’t we? Of course I don’t want to see us relegated, but if we were to go down, I’d hope with all my heart that Chris Hughton’s Brighton take our place in the Premier League. The club have made many, many poor decisions in recent years, and if they fail to sack McClaren this week, it will be another added to the list. There are plenty of good managers out there who are more than capable of getting, what I believe to be, a squad with good ability back playing how they should be. Otherwise, we’ll continue sleepwalking back into the Football League.